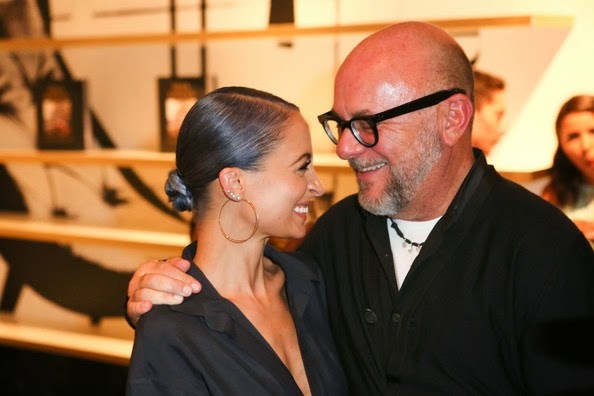 Nicole Richie was in attendance (1st August) at the Luxury redefined party. Nicole was amongst Fashion's elite posing with Alexander Wang, stylist Nevena Borissova and interior designer Ryan Korban. Nicole wore a daring low cut studded dress by Anthony Vaccarello.